It’s not too late to make some moves that will save you money on your 2017 taxes. 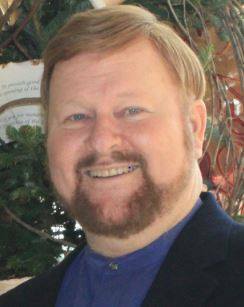 I usually do a Christian Financial Concepts Webinar at the end of each year on last-minute tax tips. This year our Webinar schedule wouldn't allow that, so I thought I'd post some of the best ones here. Just make sure you complete these on or before December 31st. Before you decide which of these to put into action, make your best estimate of whether your income in 2018 will be more or less than 2017. That will help you decide whether to shift income to next year, as well as whether to make some payments early. Disclaimer: I’m not giving tax, accounting or legal advice. I just want to remind you of some common sense actions you might not have considered. 1) As most of you know, I was a stock brokerage National Vice President. The last week of the year was often busy with clients making adjustments to their stock portfolios. If you have had stock gains, it might make sense to sell an equivalent dollar amount of losers so that you won’t have to pay taxes on the winners. By the same token, if you have taken losses, consider selling some winners that you were probably going to sell early in the year. The reason for this is that you have – for instance - $30,000 in losses, you will only be able to deduct $3,000 of them this year (for married couples; $1,500 if you’re single). The government wants you to pay tax on ALL your gains, but you can only deduct $3,000 each year of losses that exceed your profits. So it could take ten years to work off your $30,000 loss! The worst part of this very unfair provision is that – although we have had significant inflation – the $3,000 limit hasn’t been increased once in the 40 years I have been in investments. 2) Don’t get cocky. Some investors may have a fund that is currently at a loss, but which they like long-term. They may sell it before the end of the year and take a tax loss, then repurchase it after the first. The IRS knows all the tricks. They have something called the “Wash-Sale Rule” that takes away your deduction if you repurchase the fund within 30 days. One way to legally get around this would be to buy a similar fund that contains the stocks you like. 3) If you are above 70 ½, carefully monitor the minimum required distributions from your traditional IRA. (This does not apply to ROTH IRA’s.) If you fail to withdraw the required amount, you could end up paying a 50% tax penalty on the amount you were supposed to have withdrawn. This is the most egregious of all IRS penalties. They really want you to withdraw funds on schedule – so that they get their taxes! 4) Consider contributing the maximum to your retirement account. For instance, many people only contribute the amount that their employer will match. But for 2017 you can contribute $18,000 ($24,000 if you are 50 or older). If you expect to pay a significant tax bill this year, you can take these contributions as a deduction. Talk to your accountant or HR Department. For traditional IRA’s you can contribute up to $5,500 for 2017 ($6,500 if you are 50 or older). If you’re self-employed, your best bet is a Keogh plan. 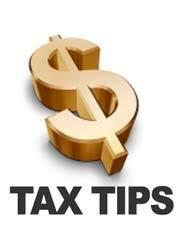 You can make contributions to them right up until your tax filing deadline (including any extensions). But any new plan must be established by December 31. 5) Pay now, deduct now. You control the timing of when you pay for many deductible items. For instance, medical bills, property taxes and donations to your church. If you were planning on making a sizeable contribution in January, why not make it in December? Also, consider paying your January mortgage payment before the end of the year. As I mentioned at the beginning, you would do these things if you expect your tax liability to be lower next year (for instance, if you will be working fewer hours per week). If the opposite is true, do the opposite. For example, make your “Christmas” gift to a charity on January 1st. If you’d like to participate in weekly online Webinars that will help you understand all aspects of finance, budgeting and investing, go to www.ChristianFinancialConcepts.com for a free subscription. In addition to the Webinars, this ministry has over 500 hours of free video financial education plus many articles available online. They are taught and written by experts in their fields, including many best-selling authors. Some of the instructors have included Dr. C. Peter Wagner, Kevin Freeman, Gen. Jerry Boykin, Scott Shofner, Fulton Sheen, Dr. Joseph Umidi, Rick Green, Dr. Marlene McMillan, Trista Sue Kragh, Dr. Mark Virkler, and Bob Weidemer (author of the Wall Street Journal and New York Times bestseller, Aftershock).